The student government at Wentworth acts as a conduit between the students, faculty and staff at Wentworth. The Wentworth Student Government (WSG) has been an amazing and active supporter of the Computer Science Society and the events we have held the past two semesters. The Computer Science Society was started last Fall and since we were a new club, we had no budget at all. From the first e-board meetings, we started coming up with where we wanted to take the CSS club and we came to the conclusion that we would need a budget to achieve any of these goals. Thankfully at our school, we had the opportunity to speak with our Student Government in order to ask for some money for the events we would be holding. Our first big event was a mini Hackathon, WITkend Hack. Without the money from WSG, this dream of ours would not have become a reality. Thanks to this first event, the CSS club got more publicity and we were able to hold more in the following months. 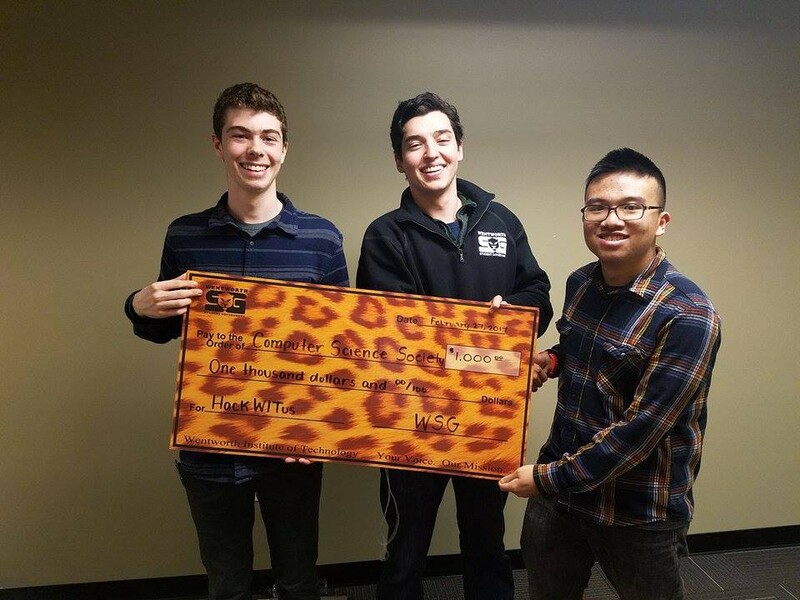 We were given the opportunity to ask for more money this semester as well and granted the money for our first Hackathon! Getting outside companies to sponsor us was a long hard road, but having our own school supporting us showed how much they believe we can truly succeed. This money will be going towards our buying food for our hackers and we know they’ll be grateful. Now, as we approach Wentworth’s first official Hackathon, we are eternally grateful to WSG for giving us the opportunity to expand the CSS club, as well as bring some outside attention to a tech school that has never held a Hackathon.